Many liberals dreamed of moving to Canada after Trump was elected. This is why I stayed. As an undocumented immigrant, I could be deported at any time. I just couldn't leave my home country. A few days before the inauguration of President Donald Trump, the building manager in the apartment complex I was living in, a nice guy named Mel, told me that if immigration agents showed up, he wasn't sure the building could hide me. He felt ashamed to say it, but tension had been building since the election. All around me, everyone issued warnings and raised red flags, especially after Trump signed his executive orders on immigration, further confusing an already chaotic enforcement system and declaring every “illegal” a priority for deportation. I entertained the idea for about two weeks. I love Canada, or at least the Canada of my imagination, which is wrapped in all things Anne of Green Gables. I entertained the idea enough to look for apartments in Toronto, and was surprised that rent in Canada’s biggest city seemed far more affordable than rents I’d paid in Washington, D.C., New York City, San Francisco and Los Angeles. And I took it seriously enough that I told Ryan Eller and Bich Ngoc Cao, the top two leaders at Define American, that they should prepare for a scenario in which I was not physically in the U.S. to help run Define American. In a conference call discussing the possibility of my moving to Canada, Ryan suggested we think about reaching out to the office of Justin Trudeau. I took it seriously enough that I told Ate Gladys. Gladys is that relative in your family that you trust with everything — every secret, every fear, every insecurity. She has witnessed how difficult and disorienting the past few years have been for me, the cost of the relentless pull from all kinds of people. And what exacerbated the whole situation was the constant worrying of my Filipino family. 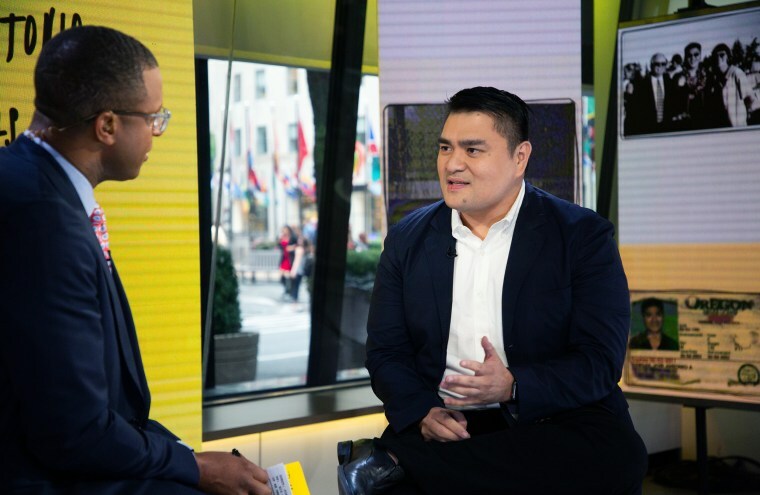 If Trump ordered my deportation, I would not be safe in the Philippines, led by President Rodrigo Duterte, whose hatred of journalists is just as notorious as Trump’s. Shortly after the election, Ate Gladys was browsing through tweets directed at me and found a troubling image. Someone actually took the time to Photoshop the famous photograph of a South Vietnamese police chief killing a Vietcong suspect into Trump pointing a gun to my face as a smiling Duterte looks on. My 36th birthday was approaching; another year of being stuck in America. Anne Shirley’s Canada seemed like a way out. Three days after my birthday, on the morning of Monday, February 6, 2017, an e-mail landed in my inbox. In all caps, its subject line read: "LEADER NANCY PELOSI INVITATION - JOINT SESSION OF CONGRESS." It was an invite to be her guest at Trump’s first major address as president. Her invitation did not come lightly. Pelosi knew what she was asking for and what my presence inside the Capitol would mean. I forwarded her invitation to a few friends, all of whom advised against accepting it. (“What would be the point? Aren’t you thinking about Canada?” Mony, for instance, wondered.) Alida Garcia, a friend who had worked for the Obama campaign, was so strongly against accepting that she fired off an e-mail in the early hours of the morning, warning me of the possibility that the government might use my attendance to detain and deport me. Zephyr Teachout: 'Abolish ICE' is not just a slogan. It's a plan to return to America's constitutional principles. Pelosi’s formal invitation, and Alida’s carefully considered note, put my predicament in sharp focus. I refused to let a presidency scare me away from my own country. I refused to live a life of fear defined by a government that doesn’t even know why it fears what it fears. Because I am not a citizen by law or by birth, I’ve had to create and hold on to a different kind of citizenship, something more akin to what I call citizenship of participation. Citizenship is showing up. Citizenship is using your voice while making sure you hear other people around you. Citizenship is how you live your life. Citizenship is resilience. I accepted the invitation. And then, after attending the joint session, I moved out of my apartment in Los Angeles. I put most everything I own in storage and started giving away furniture to relatives and friends. For the first time since leaving Lolo (and Lola’s house) after my high school graduation, I don’t have my own apartment. I don’t have a permanent address. I’m staying at hotels, Airbnbs, and in the spare bedrooms of close friends. I’ve decided to keep my travel schedule as is, fully aware of the possible consequences. I don’t know what it’s like to be deported. But I do know what it’s like to be arrested and detained. This is an adapted excerpt from “Dear America: Notes of an Undocumented Citizen” by Jose Antonio Vargas. Copyright (c) 2018 by the author and reprinted by permission of Harper Collins. 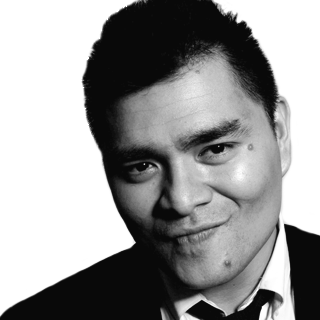 Jose Antonio Vargas is a Pulitzer Prize-winning journalist, an Emmy-nominated filmmaker and a leading voice for the human rights of immigrants. He is the founder and CEO of Define American. His book "Dear America: Notes of a Undocumented Citizen" was released by Harper Collins in 2018.